Cloudy skies early, then partly cloudy this afternoon. Slight chance of a rain shower. High 71F. Winds S at 10 to 15 mph.. Twins Lucille and Brooks Livelsberg of Carlisle, just 15 months old, had fun hunting for Easter eggs Saturday at the Shippensburg library. Both were intrigued by the colorful eggs, as well as all the large amount of other children who were also hunting for eggs. The Easter Bunny made an early appearance at the Shippensburg Public Library Saturday for the annual egg hunt. 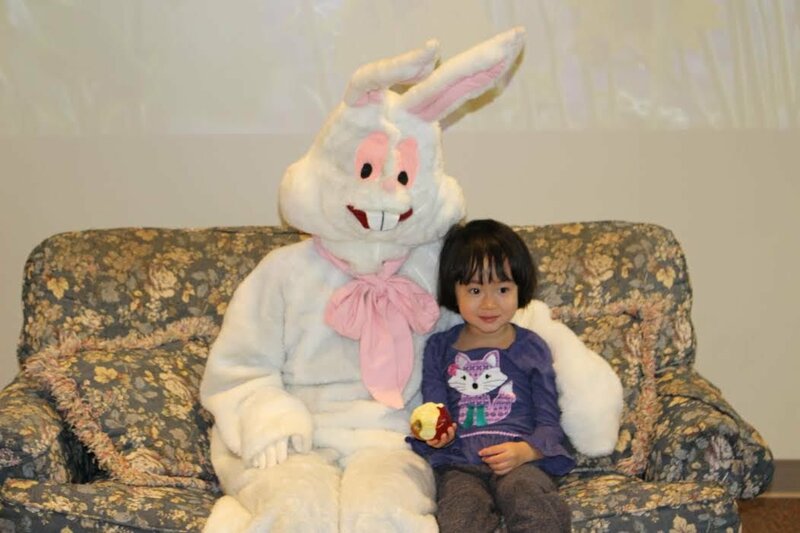 Anna Pham, who is almost 4, couldn't wait to have her picture taken with the bunny. 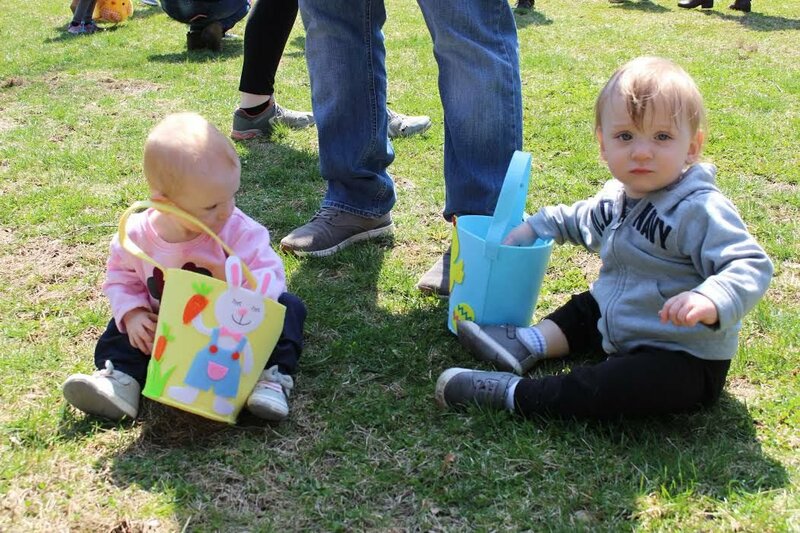 Experiencing his first Easter, little 2-month-old Todd Dingle slept right through all the fun and laughter Saturday at the Shippensburg Public Library where more than 250 children turned out for the annual egg hunt. Harper Wagner, 3, had fun making bunny crafts inside the Shippensburg library following the egg hunt for children in her 0-3 age group. Three age groups participated in the egg hunt this year: 0-3, 4-8 and 9-12. Each child also had the opportunity to make crafts, select books, see live bunnies, meet the Easter Bunny and hunt for eggs at Saturday's event. Saturday’s abundant sunshine and warmer temperatures were great for lots of outdoor activities, especially an Easter Egg hunt! The Shippensburg Public Library held its annual egg-stra special event with more than 200 children in attendance. With three age groups, 0-3, 4-8 and 9-12 represented, everyone had the opportunity to collect the colorful goodies that were spread out across the back lawn of the library. Eggs were filled with candy and small toys for the older children, while stickers filed the eggs for the younger age group, 0-3. There was also loose candy spread across the lawn for the older children to gather. In addition to lots of eggs and candy, those visiting the library also had the opportunity to meet the Easter Bunny and have their photo taken with him. There were also crafts and games inside, as well as live bunnies for everyone to see. The event is an opportunity for those of all ages to come together, enjoy a day of fun and learning, and explore the library and all it has to offer.